Shafin Anwarsha, Head of Product at Giraffe, (center in white) after his startup was declared the Global Winner of the 2016 Seedstars Summit. Given that events in the Middle East for startups and entrepreneurs are often said to be derivatives of similar themed conferences in the West, I was quite curious to see if this were true, first-hand, with my attendance at the 2016 Seedstars Summit in Lausanne, Switzerland. 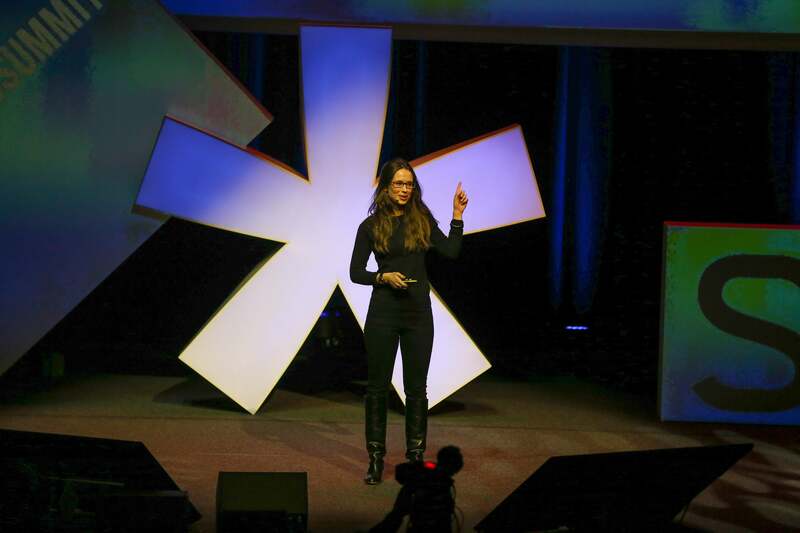 As an annual event focused on promoting startups in emerging markets around the world, the summit was the culmination of the efforts made by Seedstars World (the parent organization behind Seedstars Summit) in sifting through more than 3,000 applicants from around the world this past year. The startups that made it to Lausanne were already winners in their own right- having won Seedstars pitch competitions in their respective locations, the 54 finalists were now in Switzerland for their chance at winning up to US$1 million in investment. Now, the prize on offer was the first thing that stood out to me at this event- I can’t recall a Middle Eastern event that had a similar sized amount to give away to entrepreneurs, and that in itself was enough to make Seedstars Summit stand out, at least in my eyes. Alisée de Tonnac, CEO, Seedstars World. Image credit: Seedstars Summit 2016. It is to fulfill this need that Seedstars Summit came into being, and it’s safe to say that this mission remains at the core of the enterprise even today. For instance, consider the pitch competitions that happened prior to this year’s finals in Switzerland- startups from around the world (and this includes locations as varied as Ramallah and Rio de Janeiro) got a chance to strut their products and services on a local level at these events, which certainly helped in terms of amplifying their visibility. Then, the winners of these competitions (who, by the way, were selected after a rather strict process) made it to Lausanne, where Seedstars put them through a two-day boot camp that trained them on everything from developing their business models to improving their pitching skills. This was followed by an investor forum, where these entrepreneurs got to meet and interact with investors from around the globe- these included one-to-one meetings facilitated by the Seedstars team, where they had paired investors with startups in industries/sectors that might be relevant to them, and vice-versa. Finally, on the last day of the competition, the finalists presented their ventures to an audience of more than 800 attendees, with the eventual winners securing funds and prizes from companies that included AP-SWISS, Hublot and the lastminute.com Group. So, with respect to the aforementioned three needs that de Tonnac wanted to fulfill with Seedstars: this year’s edition seemed to have checked all of the right boxes. Another appealing aspect about the Seedstars Summit –and a trait that other events would be wise to emulate- was the rather dogged drive of its organizing team to make this an event where the startups were the priority- everything else, be it the sponsors or the press, were, at least seemingly, secondary. The limelight was on the startups, and as the co-founder, Masson (who was also a judge for this year’s edition of the competition) indicates that this was a deliberate move on the part of the organizers. “I’m an entrepreneur myself,” he reiterates. “This competition, this project, Seedstars, was built by entrepreneurs- people that understand what are the needs of entrepreneurs. We literally call them and say, okay, what do you need exactly, how can we help you, how can we support you. So, we have, obviously, the big categories in how we support them, like, media attention, which is very important, especially in these regions. Investments, definitely. Access to corporate partners. And then there is the global network- the Seedstars family. The moment you are a part of this family, you can go to 60 countries around the world, and you will have someone to talk and help you, etc.- which, from my point of view, [is needed] in order to expand a company. So, there’s a business value, and a personal value as well. We benefit from this network, and we share that with them- and that’s maybe the most important part of being a part of the whole project.” And this global village mentality was rather easy to spot at this summit- the camaraderie among the entrepreneurs at the event, regardless of whether they were from Kampala or Kiev, was quite a sight. Loan Duong, Sales & Marketing VP, Omni Up. Image credit: Seedstars Summit 2016. With respect to the MENA region, startups from the Arab world definitely made their presence felt at the 2016 Seedstars Summit- two of them, the Jordan-based Yaqut, an Arabic e-book platform, and the Morocco-based Omni Up, which offers free Wi-Fi in exchange for watching video ads, were among the last nine finalists in the World Track of the competition, but they lost out on the Grand Winner title to the South Africa-based jobs platform, Giraffe. 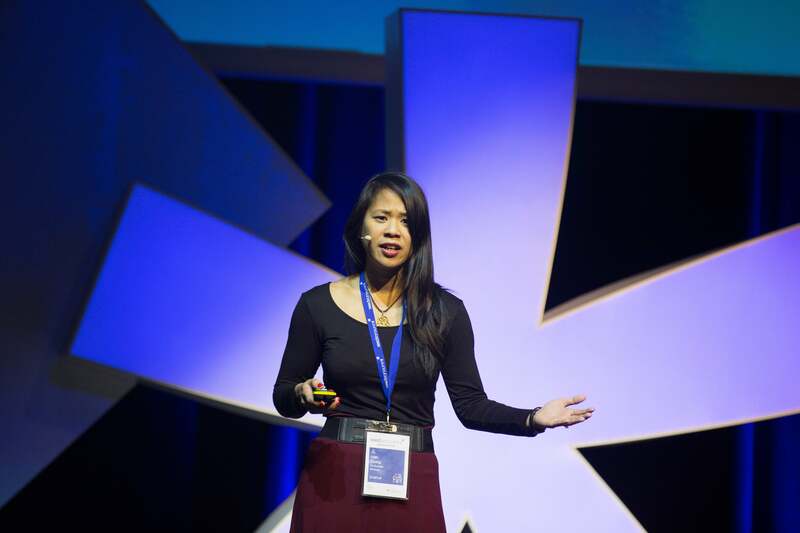 Having said that, those cheering the MENA region at Seedstars had a reason to celebrate all the same- Omni Up’s Sales & Marketing VP, Loan Duong, was declared Best Woman Entrepreneur at the event. But regardless of how they fared at the competition, all of the MENA entrepreneurs I talked to at Seedstars had only positive things to say about their experiences at the summit. “It was much better than I expected,” admits Emile Harb, who was representing his startup, the Lebanon-based Merchandiser, at the event. “I met 70 nationalities [here], I’m so happy to actually hear the experiences of all these startups, because we really relate to many of them. Also, the Seedstars team itself- the mentors we had, some of them drastically changed some of our thoughts, or our preconceived thoughts, our business model, because of their massive experience. I really wasn’t expecting this level of feedback and commitment from these guys, and so far, it’s been amazing.” Peter Abualzolof, co-founder of the Palestine-based Mashvisor, agreed with Harb, noting how Seedstars’ international scope can be extremely beneficial for businesses wanting to scale beyond their launch markets. “I want to get Mashvisor international exposure, and this is something that definitely gives you that,” he says. “I mean, we’ve met and are meeting with investors from mostly Europe at this point, and also an American investor… So, for us, it definitely gives us a benefit- I think that’s kind of the most focus for us.” With comments like these being parroted by several entrepreneurs from around the world at the event, it was easy to understand why all of them were happy to put forward their unconditional support for future installments of Seedstars Summit- and it’s safe to say that the global startup ecosystem -and especially that of emerging markets- will only be the better for it. The main hall at the 2016 Seedstars World Summit in Lausanne, Switzerland. Image credit: Seedstars Summit 2016.